The Ford Edge is a family-focused crossover SUV that seats five in relative comfort. With the Edge, Ford has a rival for vehicles such as the Nissan Murano, the GMC Terrain and Chevy Equinox, even the Lexus RX. 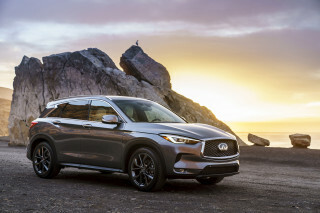 It was new for the 2015 model year, and the Edge now shares some of its running gear with Ford's popular Fusion sedan, which is due to be dropped from the company's lineup after the 2019 model year. The latest Ford Edge arrived for the 2015 model year, riding atop the same mechanicals as the latest Ford Fusion. It's sold as an Edge SE, Edge SEL, Edge Titanium, and new for 2019, an Edge ST.
Its styling cues are shared in part with the Fusion, and there are some BMW and Hyundai influences in the shoulder lines and six-sided grille. Inside, the Edge wears better interior finishes, and the dash shape has a close kinship with those in several Korean SUVs, especially in the vent shapes and brightwork bracketing the dash and framing the central touchscreen. 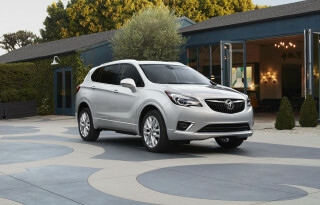 Base Edge crossovers get a new 2.0-liter tubo-4, good for 250 horsepower as of the 2019 model year—but only when run on 93-octane fuel. Front-wheel drive is standard, all-wheel drive is an option. The new base Edge is capable of towing up to 3,500 pounds, a substantial improvement from the previous version. The 2019 Ford Edge ST has the more intriguing engine: It's a twin-turbocharged, direct-injected 2.7-liter V-6, a design also used in the Ford F-150 pickup. In the Edge, it produces 335 hp on 93-octane fuel. An 8-speed automatic is standard on all Edge models, as is a selectable sport driving mode. The Edge ST has paddle shift controls. With the Edge, Ford splits off base models from the ST, which gets its own suspension setup, monotube dampers in the rear, and 20-inch wheels standard, with 21s as an option. Since the Edge now rides on the Fusion's platform, interior space is up. There's still no third-row seat, but there's more cargo space—up to 39.2 cubic feet behind the rear seat (an increase of 7 cubic feet), 73.4 behind the front seat (a 4.5-cubic-foot improvement) and Ford claims there is more leg room in both rows. Safety features now include automatic emergency braking and a passenger knee airbag mounted in the glovebox frame. Other features include standard Bluetooth and a touchscreen infotainment system. 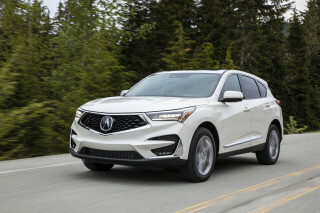 Options include parking assist that can handle both perpendicular and parallel parking, rear-seat inflatable seat belts, a automatic liftgate, and heated and cooled seats. The latest Ford Edge went on sale early in 2015. A new infotainment system, dubbed Sync 3, replaced MyFord Touch in 2016 models. For 2017, the Edge gained a new cold-weather package. 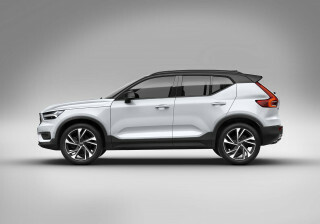 An appearance package with dark exterior trim and gray wheels came for the 2018 model year. For 2019, Ford uprated engine output in all models, and added the Edge ST sport-handling edition, which can be configured with performance brakes and tires. With the Edge, Ford finally came up with a satisfying answer to the car-based wagons that had been introduced by import brands—and it also found a way to make up for collapsing sales of the Ford Explorer, in the wake of the massive tire recall of 2000. The first Edge was loosely based on a former version of the Mazda 6 sedan. 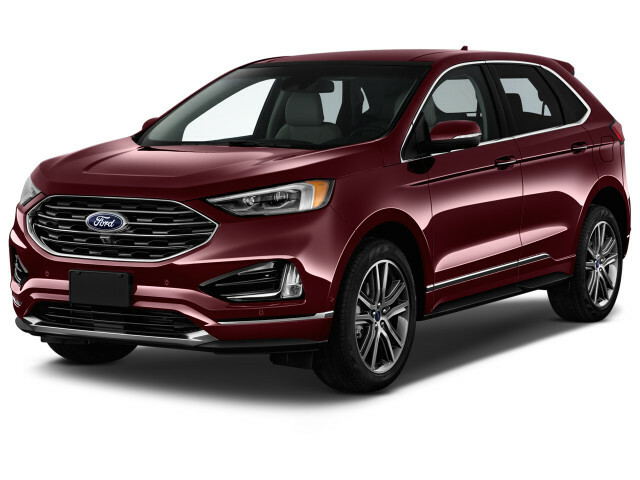 Along with the Ford Fusion, which was introduced in the 2006 model year, the Ford Edge established a new design direction for Ford—totally contemporary, not dependent on past themes. The first Edge had a somewhat limited appeal. The only engine was a 3.5-liter V-6 that made 265 hp, but it provided impressive acceleration through its 6-speed automatic transmission. Front-wheel drive was standard, with all-wheel drive an option. Ford made no attempt to position the Edge as a rugged vehicle or one meant for off-roading; instead, it let the Edge establish itself with urban buyers more concerned with good ride and handling. The first Edge only offered two rows of seating. That choice was a good one, as it allowed space for five adults and a large cargo space with quite a low load floor. The Edge has stuck to this two-row layout throughout its existence. A thoroughly refreshed Ford Edge arrived for the 2011 model year. Along with a more powerful 285-hp V-6, it incorporated a neatly redesigned instrument panel, upgraded interior materials, and refined sheet metal and appearance details throughout. The Edge's basic shape and interior configuration remained the same. A new engine option was added for the 2012 model year in the form of Ford's 2.0-liter EcoBoost turbo-4. 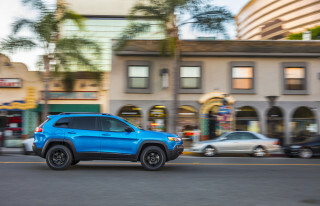 With the 6-speed automatic and only in front-drive form, this Edge became the most economical optional, with a 30-mpg highway fuel economy rating. The Edge was one of the first vehicles to get the new MyFord touchscreen interface system, which uses Bluetooth and steering-wheel controls to direct audio, phone and navigation systems, with an LCD touchscreen as the display. For the 2013 and 2014 model years, the Edge changed only slightly. All-wheel drive was added as an option on SE models, and the model's 6-speed automatic gained a sport mode. One great automobile with the smoothest ride and comfort. Love how the Sports Edition Edge drives with great performance from the V6 Eco Boost. Sporty looks inside and out. Great features. Test drove several brands and the Ford won hands down. Have a 2016. Love everything about the car, except the low beam headlights. Very poor at lighting the road. Thinking of trading for another brand, just for this reason.